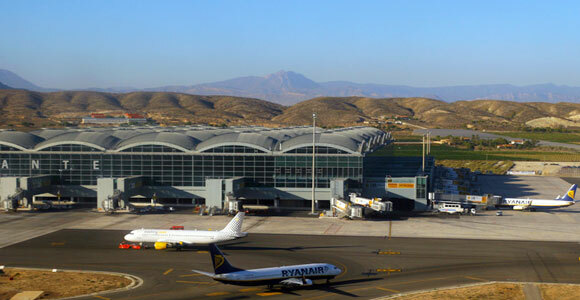 Alicante El Altet Airport, often referred to as the gateway to the Costa Blanca, is one of the busiest airports in Spain. Served by a variety of low-cost carriers, the airport sees millions of holidaymakers every year making their way to popular beach resorts such as Benidorm (further north) and Torrevieja (south). Renting a car from Alicante Airport will not only save you money on expensive transfers, but will also give you the opportunity to explore the many other fabulous sights of the Costa Blanca. Understandably, the biggest draw for many visitors are the white sandy beaches, clear Mediterranean waters, year round sunshine, and the usual coastal attractions, however Alicante city itself is not to be missed. This historic city offers something for everyone – young and old alike. Bustling bars and restaurants dotted along tree-lined streets offer a range of refreshments after visiting one of the many ancient castles and churches, museums and beautiful public gardens that fill the city. A range of tempting boutiques and shops along with numerous shopping centres are open year round should you wish to indulge in some retail therapy, whilst a luxurious marina and stylish seafront promenade offer a taste of luxury. The Castillo de Santa Barbara (Santa Barbara Castle), located in the centre of the city, is one of the largest mediaeval fortresses of Spain and offers fantastic views over the Alicante Marina. With a variety of shops and restaurants, the Marina offers visitors a taste the finer things in life. If you’re looking for fresh air and open spaces, then take a drive to El Palmeral park. Refreshingly cool, even in the height of summer, the park is open until late at night and contains some amazing waterfalls, lakes and hundreds of palm trees. If you’re hoping to test your sea-legs, then an hour off-shore from Alicante lies the Island of Tabarca, a national monument of historic and cultural interest. The coast around the island is a marine reserve, whilst the island itself is secured by walls which were designed to protect the town. Tabarca has a history steeped in maritime adventures, including the tales of pirates who used the island as base from which to plunder the coast! Booking your Alicante airport car hire gives you the freedom to explore this thriving city, and venture out to see more of this magical region of coastal Spain.